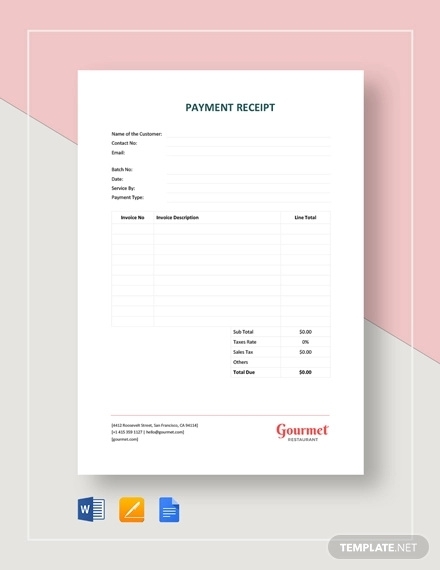 In every establishment dealing with business transactions, a receipt is always needed to signify that a transaction has been completed whether there is already a payment or not by the buyer. It is also a law that a business entity must always issue an official receipt for all its sales because this will be the basis for the computation of taxable income and, in turn, tax payable of the business. 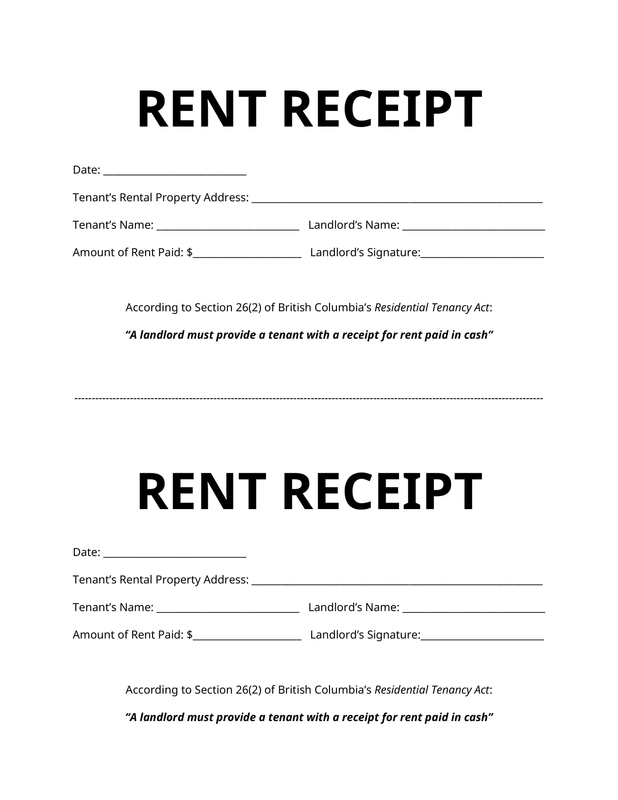 More on the uses of receipts can be found in the later part of this article. It is enough that you will know even just the basics on receipts for you will surely encounter receipts in every single day of your life. 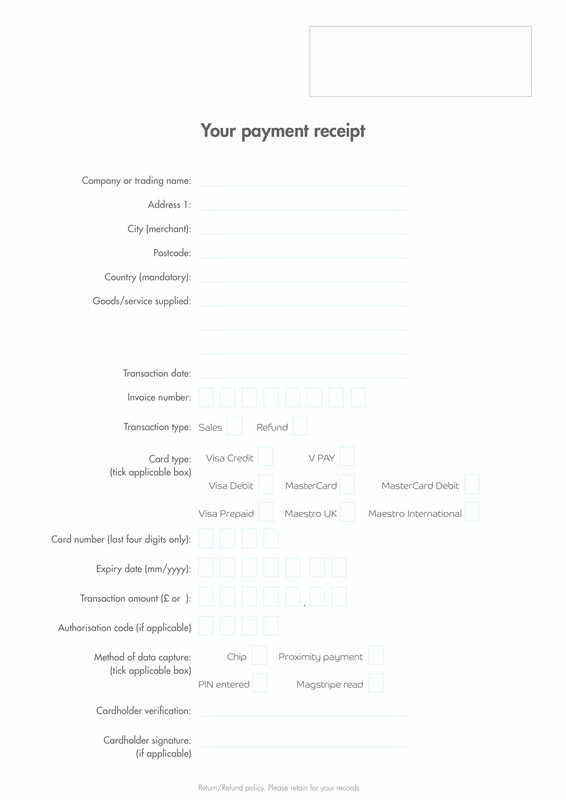 Presented below are examples of receipt of payments to give you an idea and overview of receipts. Receipts serve as a proof of warranties. Business entities would always require receipts when a customer would claim their warranty some time in the future. In filing for your warranties in the purchase of, for example, gadgets, appliances, electronics, or jewelry, you must present your receipt to the cashier or to any authorized person. Hence, before throwing your general receipt, take note first if the item you have purchased will grant a warranty in which you can avail some time in the future. If so, keep your receipt first, and throw them only when the warranty period already ended. Receipts can also be used as a proof of major expenses. For example, if you purchase a vehicle, you must keep a record of that vehicle as long as you own it. This can be considered as a major home improvement expense that should be kept in file for “Home Improvements and Repairs” and then kept with your tax records after you sell the home. So, it is better that you keep the simple receipt at the time that you own it and keep it until you discharge the vehicle. You must also keep your receipt especially when a store of the thing that you have just purchased allows for a return or exchange within a certain time limit. Some return policy would allow for 30 days of return period while some would only allow 15 days. This would depend on the policy of the company. For a period stated in the return policy of the item, you must keep your receipt within that period in case you want to return or exchange the item that you purchased for some valid reasons. Receipts are also useful if you want a reimbursement from the purchase you made using your personal money. 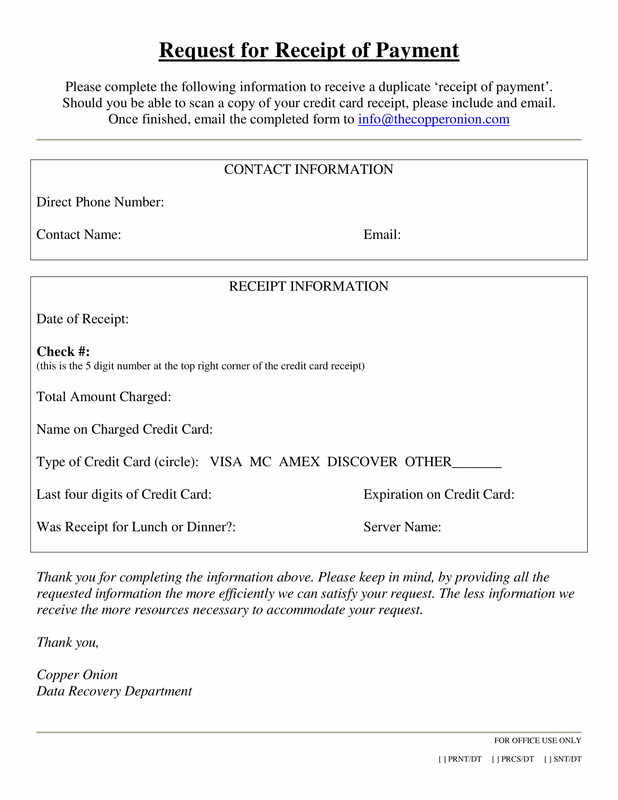 When you are working in a company who would give you meal allowance but for the mean time you are just going to use your personal funds, you must keep the sample receipts of your meal because this is commonly what you should present to your accountant or any authorized person so you will be reimbursed with the money you spent from your own pocket. Some people would want to account the amount of expenses they have for a certain period, a pay period for example. Other people would also want to keep track of the money that they spend because they are setting limits to their expenses. In this case where you want to make sense of how much you have spent in a range of time, you must keep your receipts in case you cannot recall what you have purchased. Your standard receipt will even detail the item you purchased as well as the time of purchase. There are certain cases when the store where you bought an item will ask you to fill in your information with regards your address or contact details and your full name. This is especially important when they offer warranties, return, or exchange. You may also see hotel receipt examples. They must keep a record of the customer information to prevent any forms of fraud, for example, when a certain person would ask for an exchange of an item but it turns out that he just stole the item from its rightful owner. If you are filing for a tax deduction, you need to get ready with your receipt that details the items that are tax deductible. You must also keep your receipts from your donations to a charitable institution for this can also be considered as a tax deductible item. You may also like transfer receipt examples. When you say tax deductible, this means that your taxable income will be deducted by this amount to arrive at the net taxable income. This is the basis for the computation of your tax for a certain period. The lower the net taxable income, the lower your tax payable. 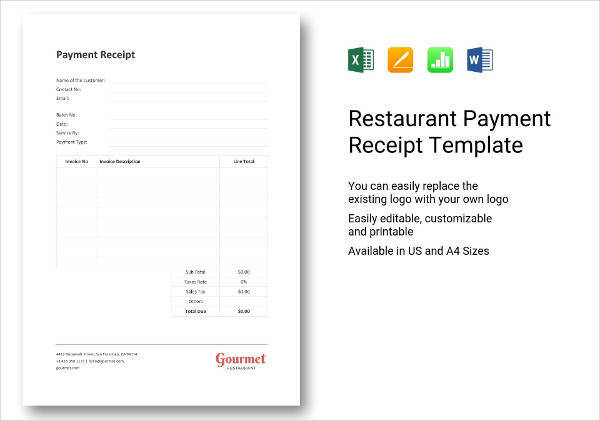 You may also check out restaurant receipt examples. Header – For the header of the sales invoice, it includes the name of the business, the tagline—which is optional but is encouraged—location or address of the business, contact number, logo of the business—which is also optional—and other important details that you want to be presented at the top of your sales invoice. Below the header – Below the header, you can write the date of sale, which is also sometimes presented at the topmost left or topmost right of the page, simple invoice or transaction number, the name of the customer, and the complete address of the customer. Bottom – At the bottom or lower part of your sample invoice, you can find the subtotal, grand total, and tax amount, discount terms, and payment terms, which are optional. Similar to sales invoice, it can serve as an evidence of the transaction made between the seller and the buyer. 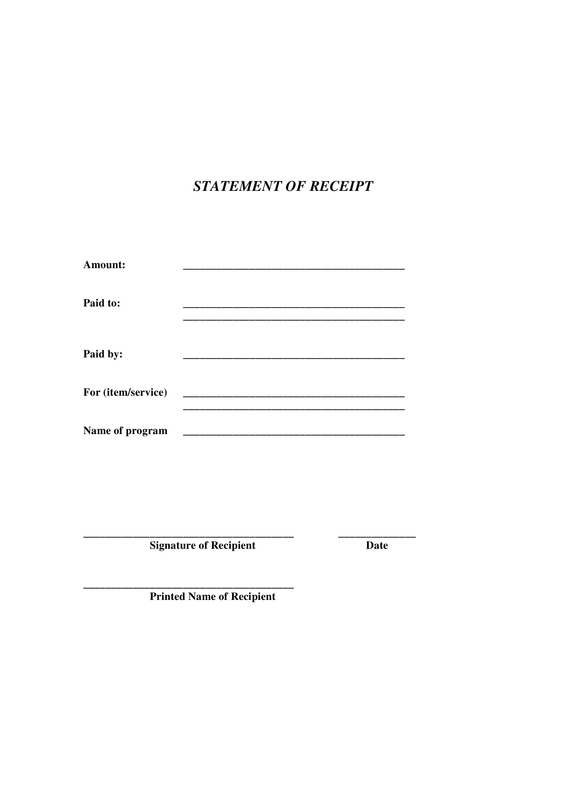 This receipt is issued and signed by the employee to certify and acknowledge that he or she duly received his or her salary on a given pay period. It is a form of record-keeping and execution of the employment contract; hence, it is an important document for both the employers and employees. 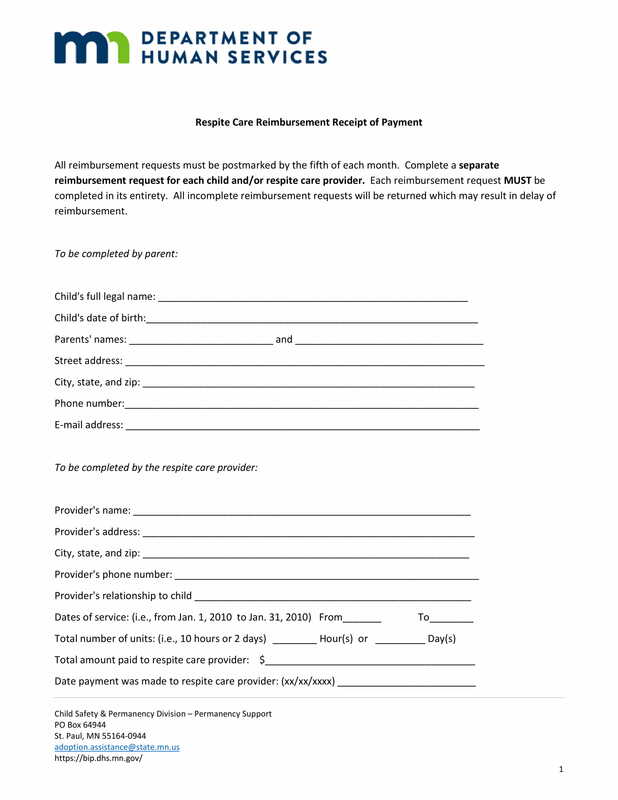 Salary payment receipt – This is a straightforward document that provides the amount of salary an employee had received in a certain pay period, including overtime pay, deductions, and other bonuses. 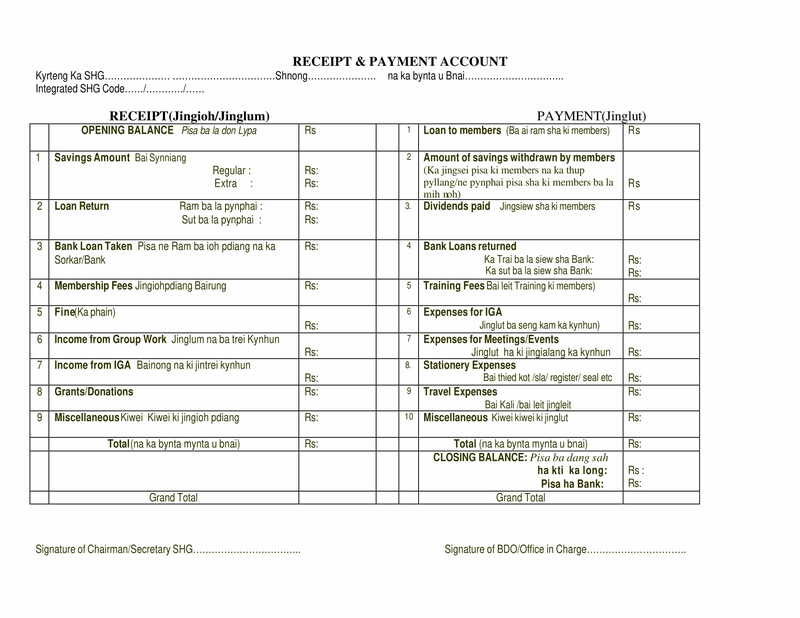 A payslip is usually provided to the employees which contains the details of their salary such as those previously stated. Salary advance receipt – When an employee wanted to claim their salary in advance before the payment period, he or she will be given a salary or cash advance receipt certifying that the employee had validly received the advanced salary. You may also see company receipt examples. Salary Complaint Receipt – It is inevitable that there are discrepancies in the timekeeping for the salaries of the employees and the employee would complain about their salaries. 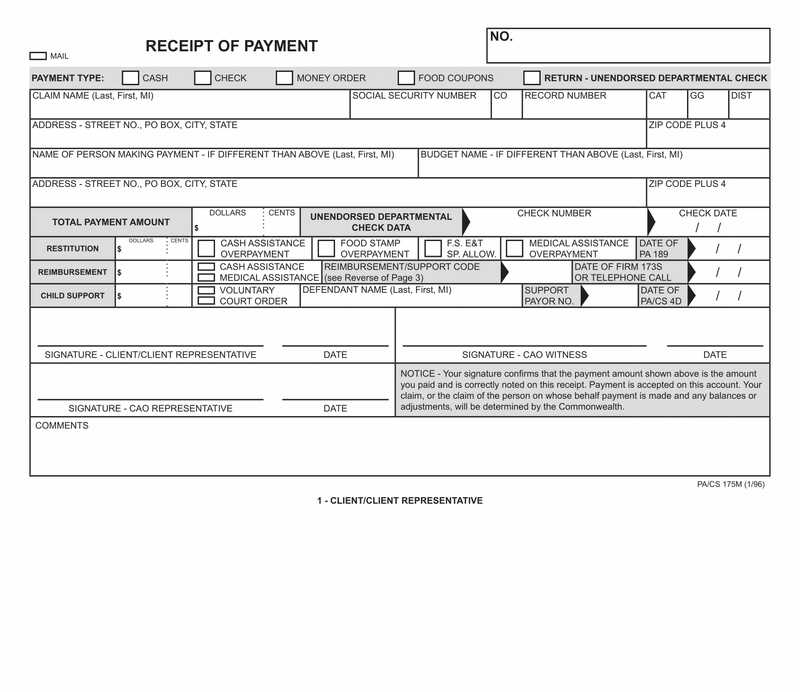 A salary complaint receipt would be provided to certify their submissions of complaint. You may also like receipt voucher examples. A value-added tax invoice, or simply VAT invoice, is a document issued by an accountable person with the details of a taxable item and all related information as prescribed by VAT law. This must be issued within fifteen days of the end of the month in which goods or services are supplied. The amount on the invoice will be the basis for your VAT liability. The invoice would also enable the VAT-registered customer to reclaim the VAT charged to them. A sales order is an order issued by a business or sole trader to a customer indicating that the customer is now ready to purchase the products and services. 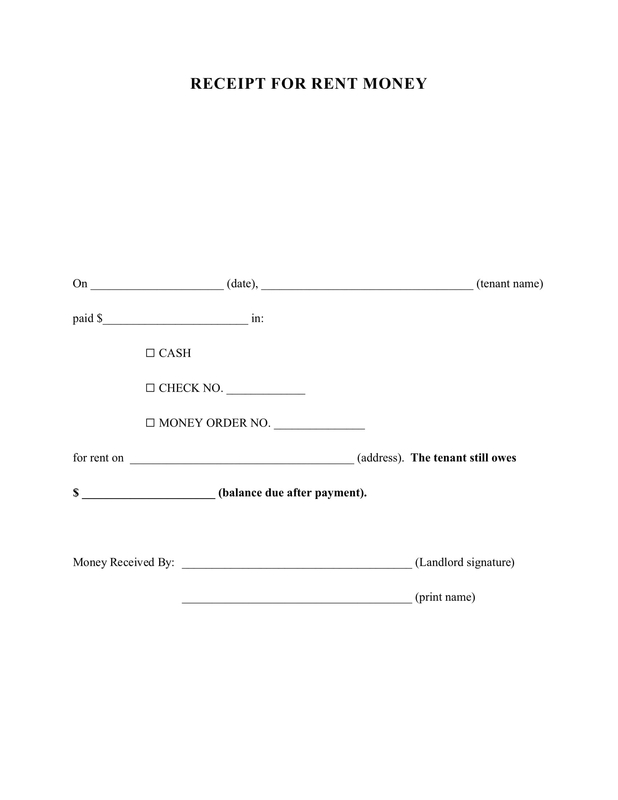 It is a form of a confirmation document that authorizes the sale of listed items for the given amount and gives a clear understanding about what the customer has decided to buy. 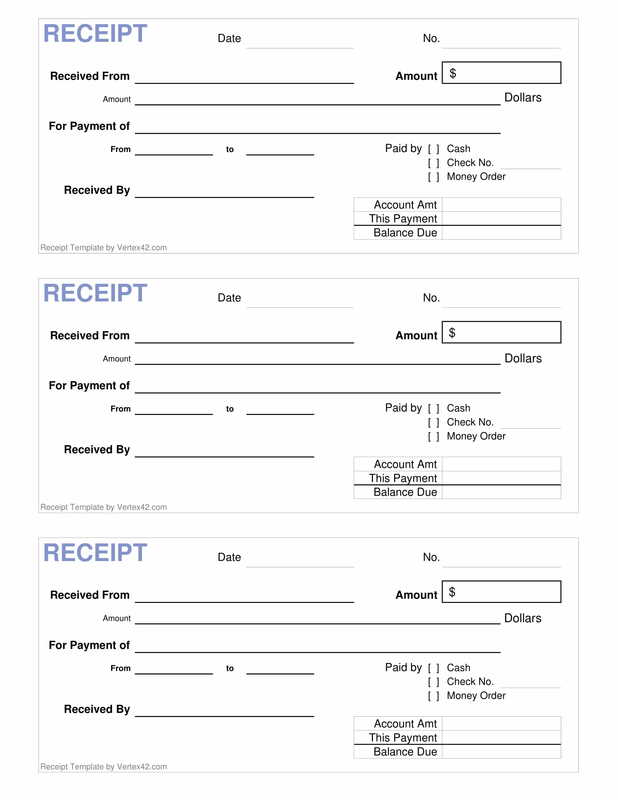 You may also check out work receipt examples. 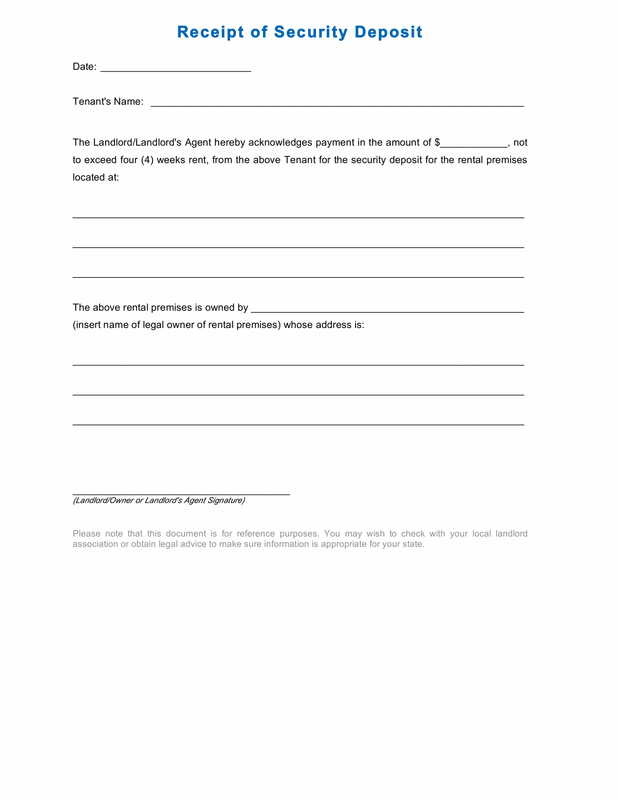 This is a commercial document and first official offer issued by a buyer to a seller, which details the types, quantities, and agreed prices for products or services. It is also used to control the purchasing of products and services from external suppliers. It is a communication by the buyer to the seller for his or her intention to buy goods.You may also like service receipt examples. Receipts play a major part especially in a sales and purchase transaction because it is a form of evidence that a transaction happened. Aside from that, there are a lot of purposes that a receipt serves, and these are as follows: as a proof of warranties, as a proof of major expenses, used when returning or exchanging merchandise being purchased, as an expense reimbursement, for budgeting or reconciling, to acquire customer information, and lastly, in some cases, for tax deduction. You may also see deposit receipt examples. There are also different types of receipts which are as follows: sales invoice, purchase invoice, travel invoice, expense invoice, journal, salary VAT summary, periodic tax return, sales order, purchase order, and reference payment. Now that you know the importance of receipts, you now know when to keep them and when to dispose them, that is, when it is no longer needed. 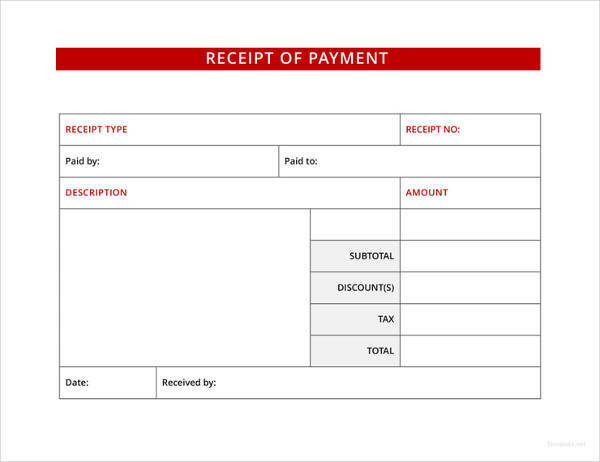 The examples of receipt of payment presented above will surely help you get to know more about receipts.